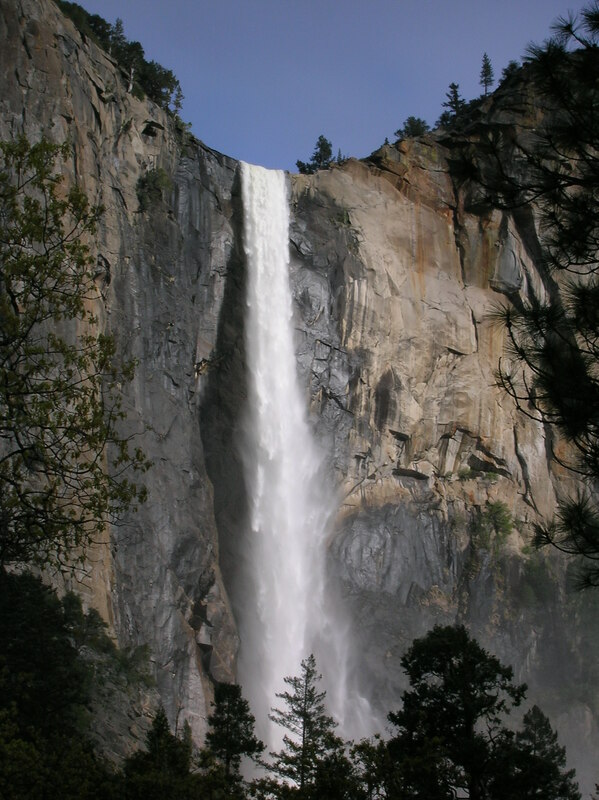 I arrived at Yosemite on 10 May 2005. It was part of my round-the-world 8 month climbing trip. I hired a car in Denver, Colorado and spent a nice few weeks driving west towards the coast and stopping along the way to climb and trek (e.g. Unaweep Canyon, The Grand Canyon, Moab, Sequoia national park). On my drive into Yosemite valley I passed through the Sequoia national park and stopped off to visit the largest living tree in the world, nick named the ‘General Sherman‘. The General Sherman is a giant sequoia and has a height of 83.8 metres (275 ft), a diameter of 7.7 metres (25 ft), an estimated bole volume of 1,487 cubic metres (52,513 cu ft), and an estimated age of 2,300–2,700 (according to Wikipedia). It was a little cold in my flip-flops and shorts and most people thought I was barking mad wandering up the trail in my singlet in the snow. 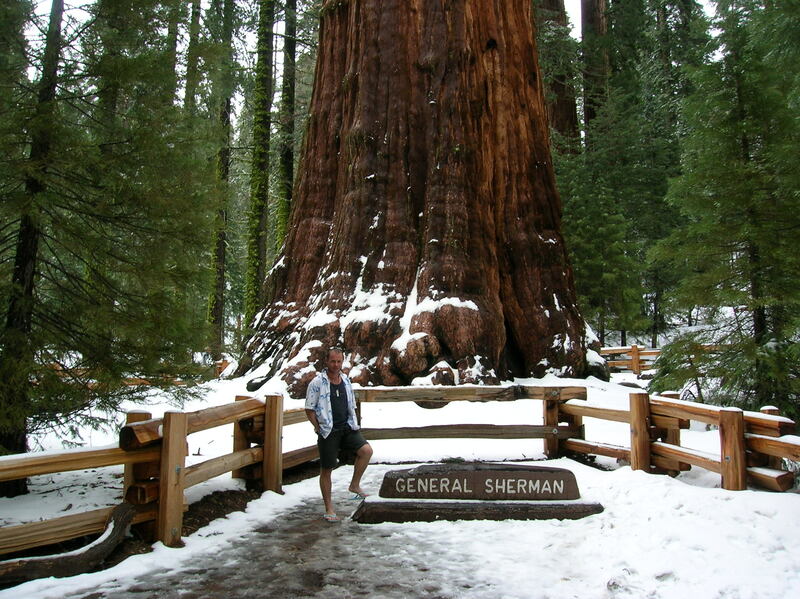 Standing at the base of the General Sherman – 2700 years old, wish I could live that long! 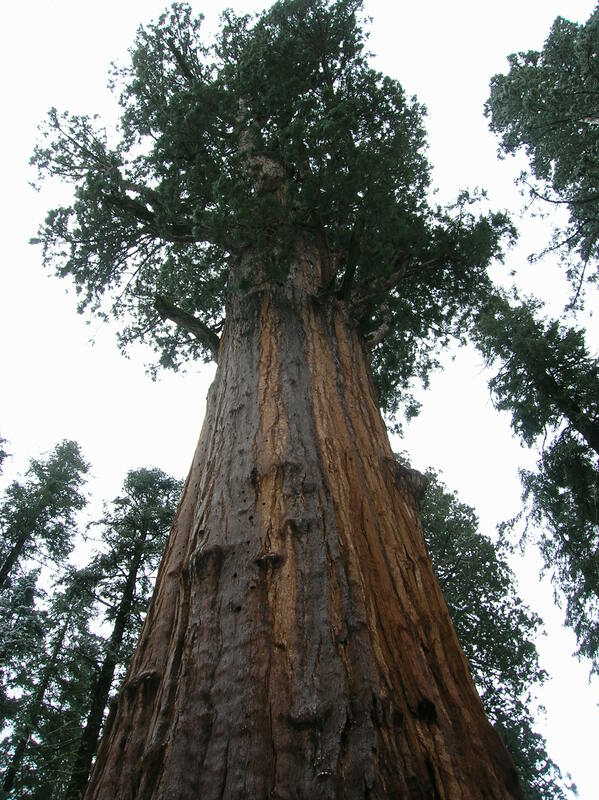 It’s the biggest tree in the world by volume – not by height or girth. I drove into Yosemite valley from the south entrance. 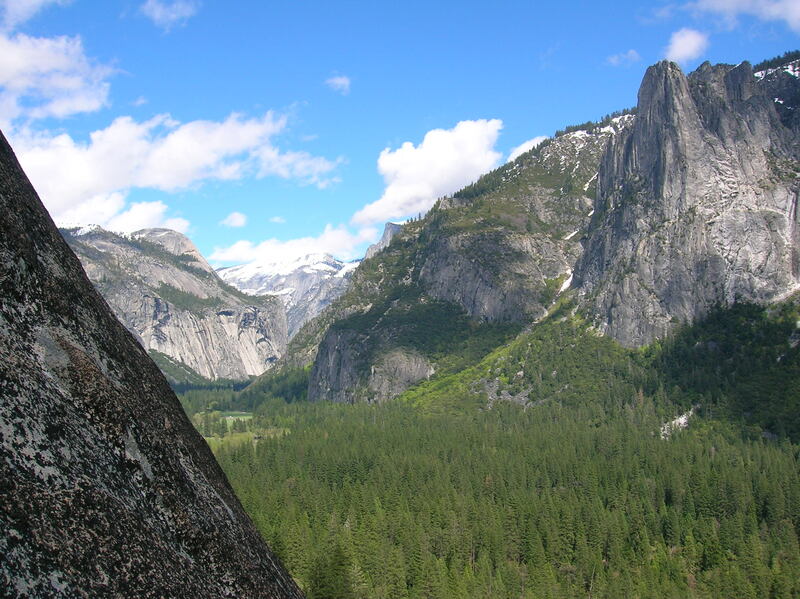 Yosemite valley is located about 240km east of San Francisco and is an absolutely beautiful 10km long valley with pine tree’s lining its floor, flanked by huge granite walls towering 3000ft above the valley floor. It is a mecca for rock climbers from all over the world, with arguably the most famous rock buttress in the world – El Capitan (Spanish for ‘the captain’ or ‘the chief’) rising 900 vertical meters. Even if you are not rock climbing its a beautiful place to visit, to walk and trek through and enjoy the natural beauty. Beautiful waterfalls on the valley walls. I arrived at Camp 4 (the camping site where most climbers stay), around 6pm, set-up my tent and cooked some spaghetti for dinner on my stove. The rangers are super strict about keeping the camp and your car clean and free from food here so as not to attract bears into the area. All food has to be locked up into special bear proof boxes. Rangers come around during the evening to check the inside of vehicles with flashlights and if you leave so much as a tube of toothpaste in your car then they will tow it away. 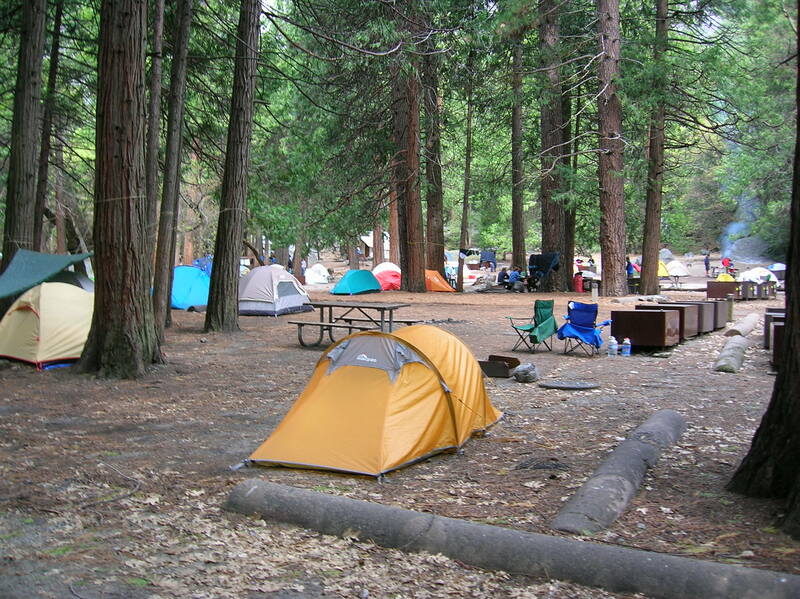 My kiwi designed ‘MACPAC’ tent in Camp 4, Yosemite valley. You don’t see much MACPAC in this part of the world. The bear proof boxes are evident in this photo to the right of the blue chair. I had two full days here and wanted to climb some routes so needed to find a climbing partner. I put up a note on the notice board at camp 4, and about 2 hours later as I was finishing my dinner a tall, middle-aged American chap named Bill came wandering over and introduced himself to me. 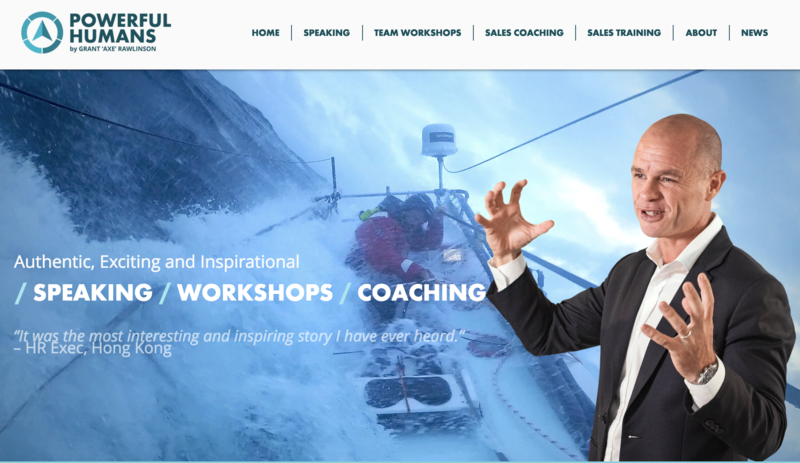 Bill was a down to earth, quietly spoken guy who flew hang gliders in his spare time and had 6 children. 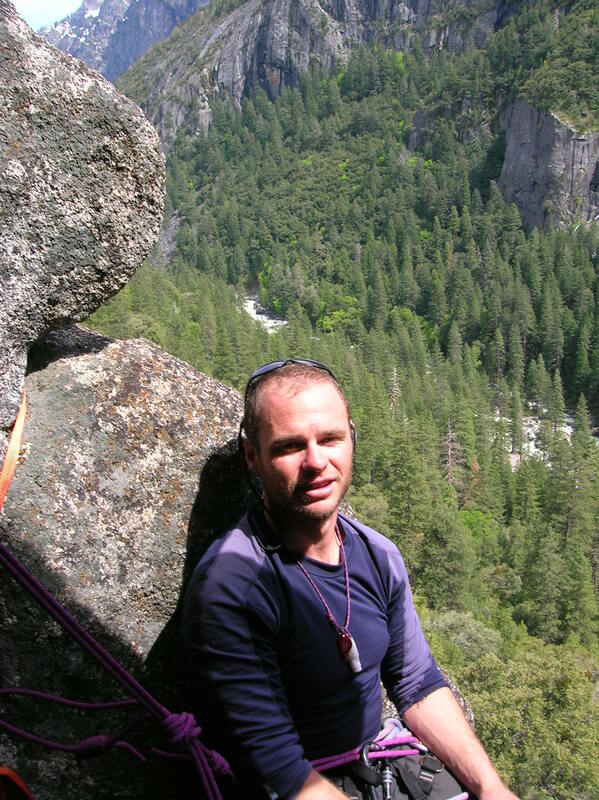 He also turned out to be a Yosemite regular and had climbed El Cap twice before, so I was pretty stoked to meet someone who was experienced and knew their way around the park. We agreed to try a climb the next day called ‘Nut Cracker’. 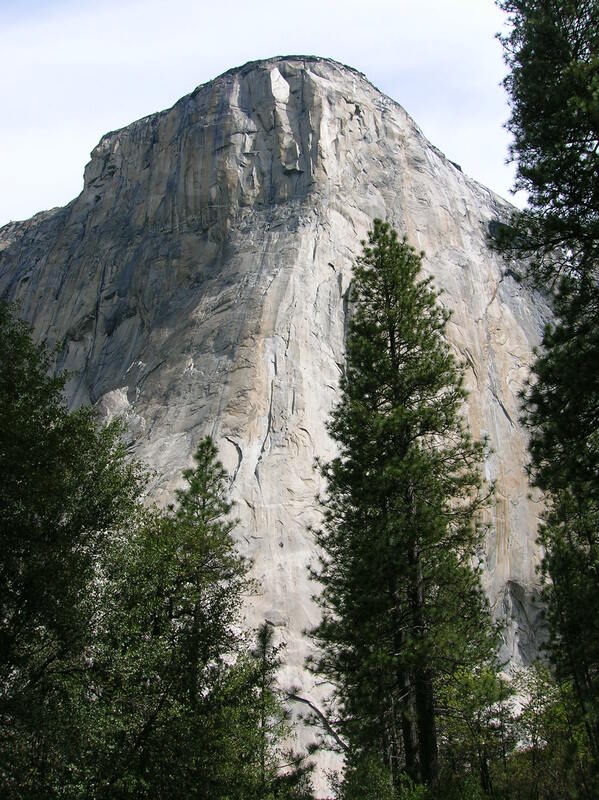 Nut Cracker is a classic climb, at grade 5.8 and was first climbed by the grand father of Yosemite climbing (a chap named Royal Robbins) back in 1968 (not 100% accurate on the date). The next morning we got on the route about 10am, and Bill’s friend Eric also joined us. We had a great day as we slowly climbed the 5 pitch route. There was a party in front of us that we had to wait behind so we had plenty of time to sit at the belay stations and admire the view. 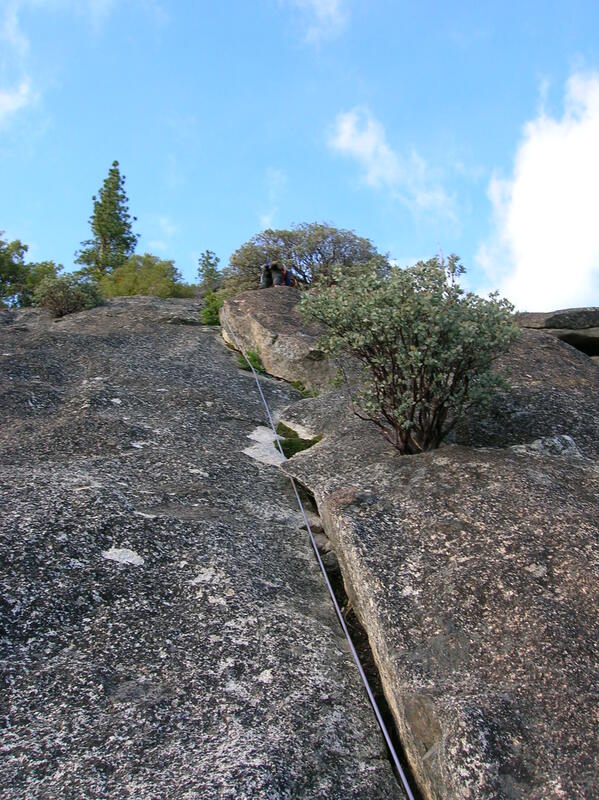 The climb involves a lay back crack for the 1st pitch which was dripping wet. Even Bill whimpered on the lead on this so I had my tongue hanging out struggling up it. The second pitch follows easier slabs, then the last 3 pitches were a mix of crack and slab climbing. There is an easy 30 minute walk off descent from the top. Bill leading the 1st pitch of Nut Cracker – this was a little wet. 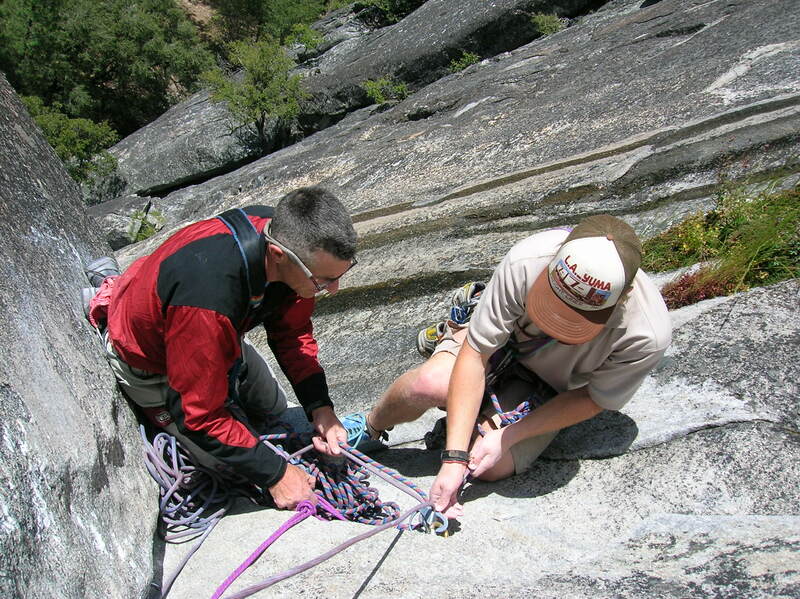 Bill and Eric setting up a belay. A self-portrait from the top. From here it is an easy 30 minute walk off. 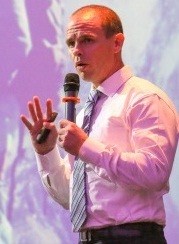 The next day I teamed up another nice American chap called Mike. 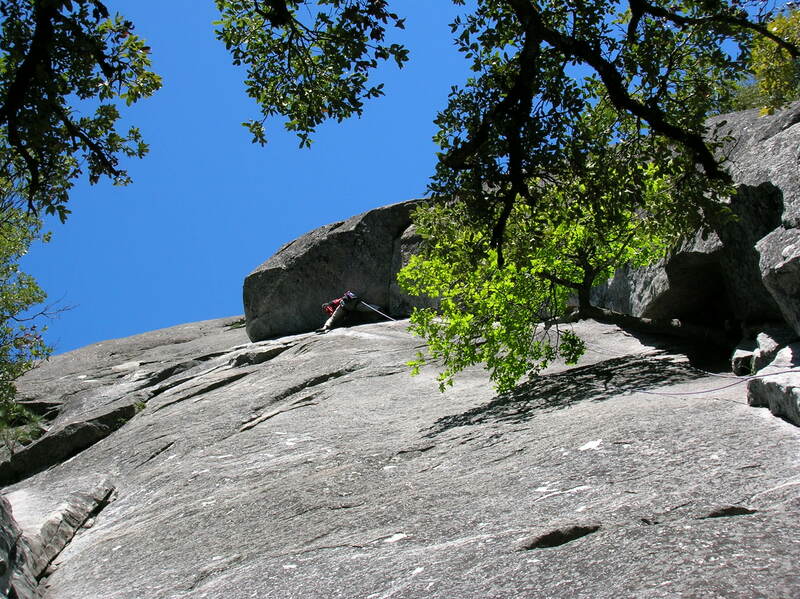 We decided to do some fun climbs and ventured to the base of the awesome ‘El Capitan’ herself. Here we climbed the 1st pitch of the route, a 5.7 graded crack called ‘pipeline’. 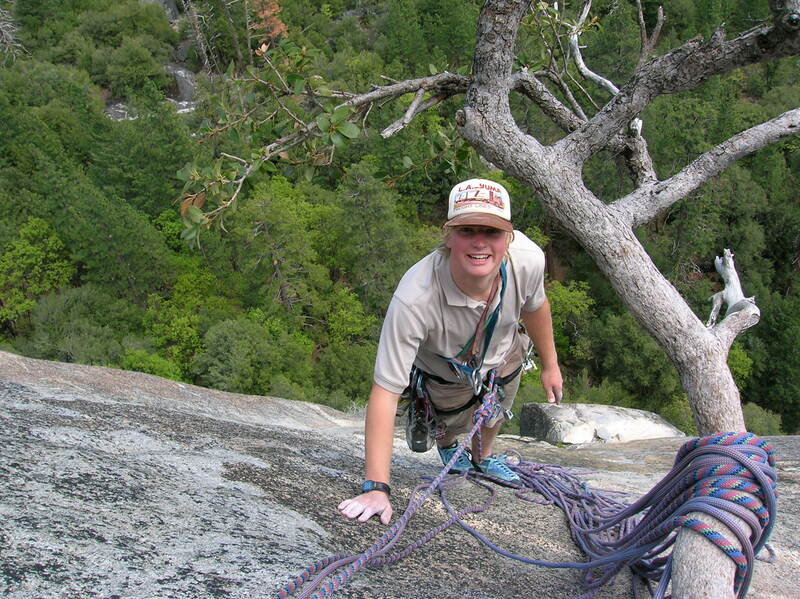 It was pretty cool to be climbing El Cap, even if it was only the 1st pitch! We saw lots of other teams like tiny dots high up on the wall. It must be awesome to be up there. 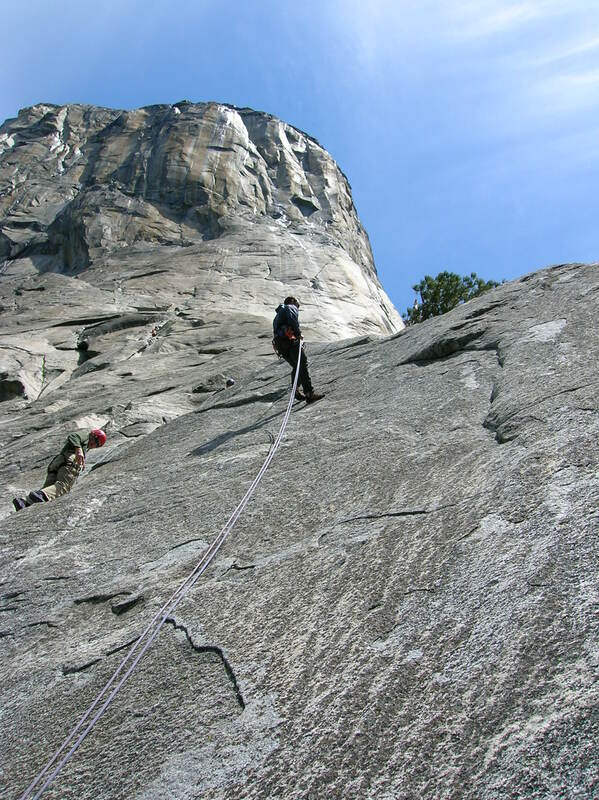 El Capitan – 3000ft, 900m of vertical granite – the most famous rock climb in the world! 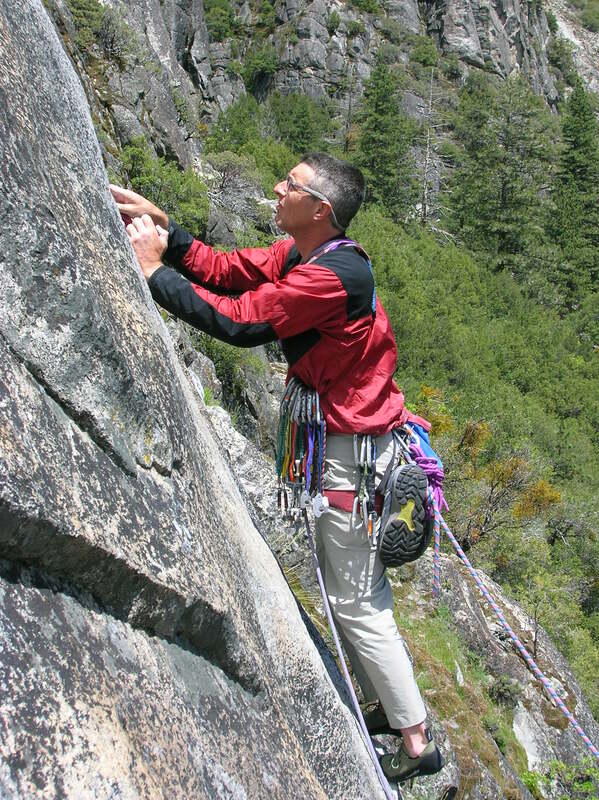 rappelling off the 1st pitch of El Cap. The top is still 3000ft above my head! 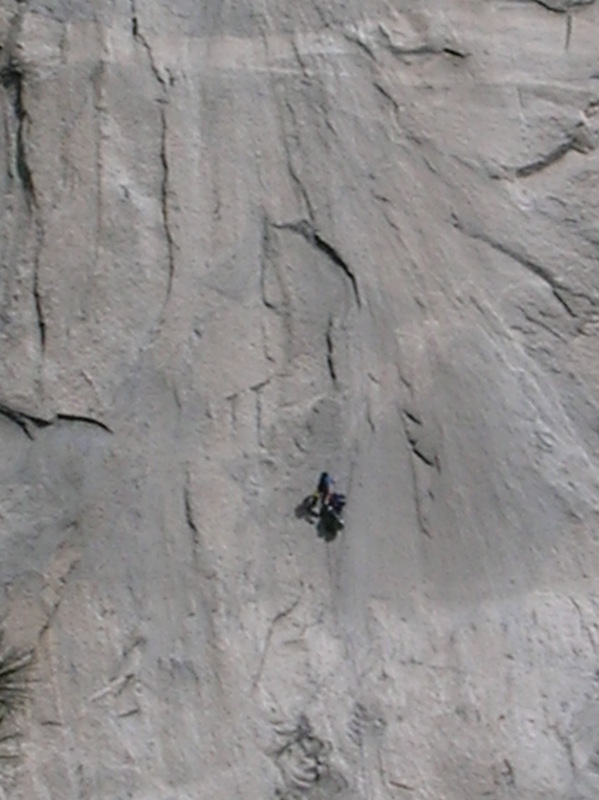 A super zoomed in shot of some climbers high on the wall on El Cap. Photo taken from the valley floor. After our morning climb of El Cap (!! ), we moved further up the valley and climbed two more, 2-pitch routes graded at 5.7 (one was called ‘inner reaches’ – the other one I cannot remember the name of), before calling it a day and heading back to Camp 4 for some beer and food. 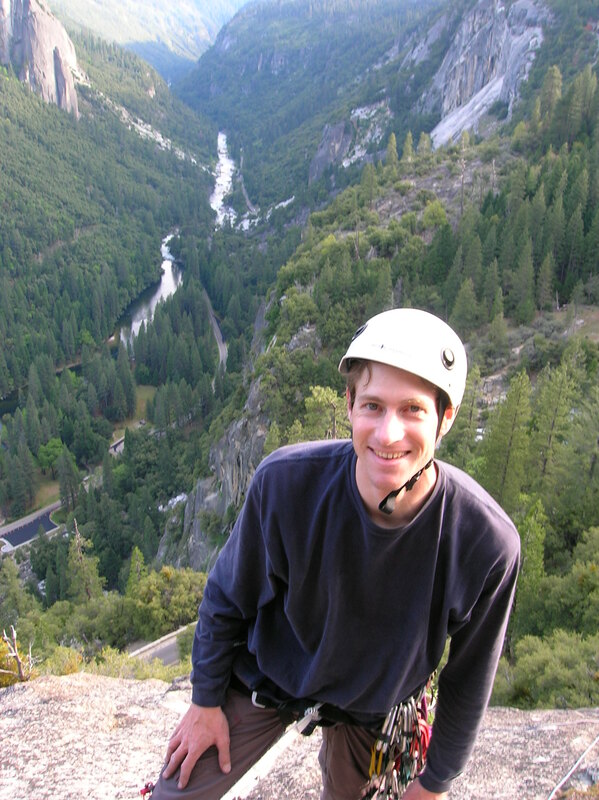 Mike turned out to be a great guy to spend a day climbing with, he was an electrical engineer and loves the outdoors so we had a lot in common to chat about. The next day my time was up in Yosemite so I left the valley with many happy memories, slightly sore fingers and pretty happy to have got in a pitch on the Captain herself! What a beautiful part of the world – if you ever get the chance to visit then take it! Mike lead this nice flaky/cracky thing for our last 5.7 two pitch climb of the day. My climbing partner for the day Mike turned out to be a great guy. 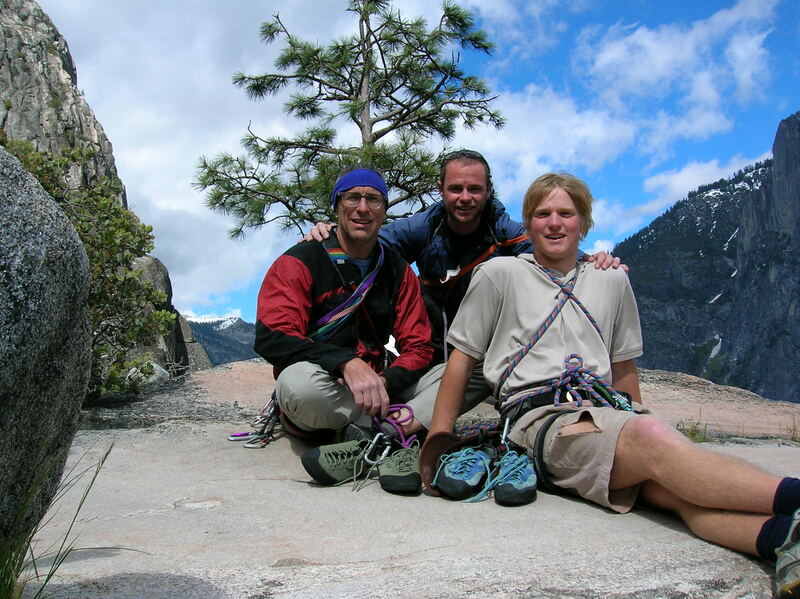 Relaxing on a belay station on ‘inner reaches’. Glorious view of the valley. Hi Kate, awesome to hear you have also been to this lovely spot! Great idea about updating my climbing video – I will get onto this and let you know when its done!